Fort Lauderdale is a bustling city strategically located on Florida’s southeastern coast. It is known for its rich culture and thriving tourism, giving businesses the opportunity to capitalize on the consistent traffic. With the steady population of residents and visitors throughout the year, it’s vital to ensure the safety of your Fort Lauderdale business. The best way to protect your valuables and property is by installing a state-of-the-art security system in your office. 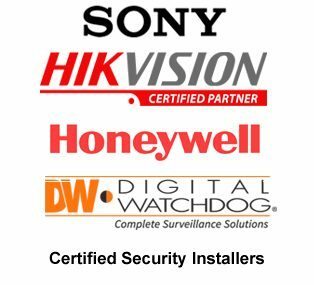 The expert Fort Lauderdale security system installers at Hi-Tech Security can provide you with an affordable, efficient, and advanced security system. Whether you own a commercial, retail, or small business in the city, we have an array of security solutions that will benefit you. Don’t wait until it’s too late. Call us today to learn more about our services. Recent advancements in technology have allowed manufacturers to create high-quality security systems with more features than ever. While old security systems merely alert you of a break-in, these new systems will enable you to view and monitor your business in real time from virtually anywhere. Businesses throughout Florida trust closed-circuit television or CCTV cameras to protect their property and assets. These systems operate at a base quality of 1080P and can integrate with Transfer Video Interface (TVI) and Internet Protocol (IP). Our cameras allow you to view and store your footage using both Digital Video Recorders (DVR) or Network Video Recorders (NVR). Using your smartphone, laptop, desktop, or table, you will be able to search, monitor, and control your security system from virtually anywhere. Our Fort Lauderdale installers can educate you on the different types of models and help you choose which ones are right for your business. At Hi-Tech Security, we recognize that technology is constantly evolving. We pride ourselves in our knowledge of security systems and offer only the highest quality technology for our clients. Our knowledge of security systems and installation is unmatched by our competitors. We have served South Florida businesses for over 14 years and counting, and consistently receive positive reviews about our products and service. All of our installers are low-voltage contractors and abide by the standards of the National Electric Code (NEC). We also offer lifetime technical support on all installations. We know how much you put into your business, so be sure to protect it at all costs. Contact our Fort Lauderdale installers at (954) 394-2292 to get your free installation quote today.